Limited Stock, While Stock Last! Highly responsive. Virtually no lag. 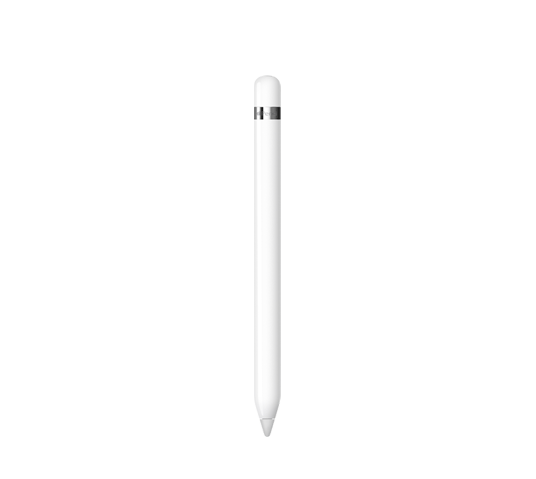 The lightning-fast responsiveness of Apple Pencil separates it from other creative tools. That's because its latency from the tiny delay between when you begin drawing and the time it appears on the screen has been reduced to an almost imperceptible level. 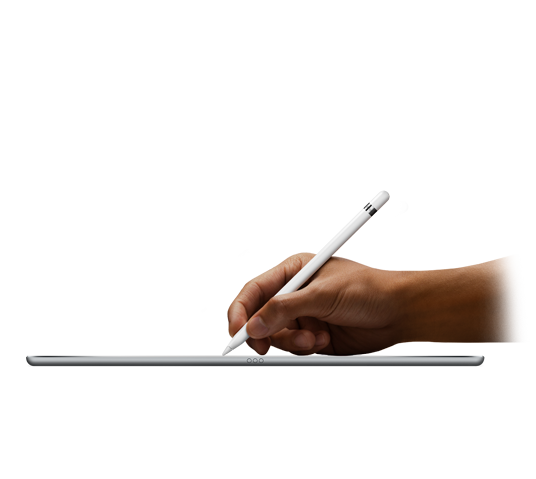 iPad Pro knows whether you'e using your finger or Apple Pencil. When iPad Pro senses Apple Pencil, the subsystem scans its signal at an astounding 240 times per second, giving it twice the data points it normally collects with your finger. This data, combined with Apple's designed software, means that there's only milliseconds between the image you have in your mind and the one you see on the display. Draw lines of any weight. Just apply pressure. Add shading with a tilt of the hand. 12 hours of battery life.You supply the creative charge. 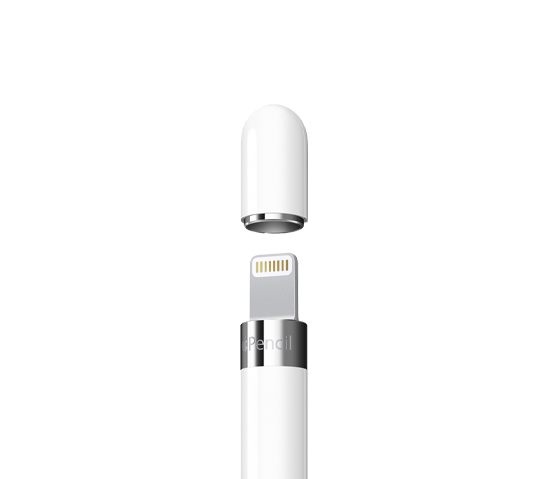 Slip off the magnetic cap of Apple Pencil to reveal a Lightning connector that lets you charge Apple Pencil simply by plugging it into iPad Pro. The connector features a slightly elongated design, so that charging is possible even when iPad Pro is inside its Silicone Case. A full charge gives you 12 hours' worth of scribbling, sketching, annotating, and editing. And if the battery happens to run out while using Apple Pencil, you can just charge it from your iPad Pro for 15 seconds and get 30 minutes of use.